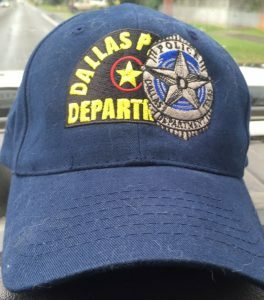 A crazy story out of Dallas this week from Dallas Police Department whistleblower, Officer Nick Novello. Officer Novello was troubled by police response times, and asked Dallas City Counsel for help. But months went by and the problem only got worse. The department is currently understaffed by 1,000 officers and there are times when there are no officers available to respond to calls in large parts of town. He shared one case where there was a shooting where it took over an hour from the time the call came in until an officer responded. In another case, a robbery victim lay on the ground bleeding and it took over an hour and a half from the time the call came in until an officer responded. DPD’s average response time is just over 8.5 minutes, and that’s pretty darn good considering how under-staffed, over-worked, and generally hamstrung they are. In many areas of the country, it’s 10-20 minutes. But, if you find yourself in a fight for your life, averages really don’t matter. The AVERAGE number of MINUTES that it takes for police to respond is meaningless when your life is on the line and seconds count. If someone kicks open a door or throws a potted plant through a window, you’ve only got seconds to respond. That’s faster than you can figure out what’s going on, decide that you need to call 911, call 911, get a live operator on the phone, and tell them you need help—let alone how long it takes for an officer to respond. So, are you going to go for your gun first or call 911 first? If you go for your gun…it better only take a couple of seconds, and you need to know that law enforcement won’t know to come until you call them. If you call 911 first, there’s a decent chance that you’ll only be armed with a phone by the time the bad guy gets to you. 911 as a self-defense tool is generally a HORRIBLE option. Either way, if something bad happens, you’re on your own. Sometimes for an hour or more. That’s why you better be able to act as your own first responder. And this isn’t just in Mad Max disaster situations—it’s also the reality in times when everything seems all hunky dory, like in Dallas when the unemployment rate is low and the economy is strong. Most cities operate with 1 patrol officer for every 4,000-10,000 people on duty at any given time. As a society, we have decided that this is enough and that the additional cost of more officers and a faster response time is not justified. The net effect of this is that it shifts the responsibility of first responder from law enforcement to individuals. People just have to accept that they’re probably going to be on their own. “Gunfights,” muggings, and a lot of other violent crimes are over in seconds. Mass shootings are normally over in a couple of minutes. A great and admirable response time by law enforcement is 8-10 minutes…after someone at the scene has the presence of mind to call 911 and communicate what’s going on clearly and calmly enough for the dispatcher to send appropriate help—assuming the caller doesn’t have to wait on hold for a few minutes before being able to talk with a dispatcher. As a subscriber to my newsletter, you’re already several steps ahead of the general public. You probably own one or several guns and you have taken the next big step to actually become proficient with them. There’s movement and !Gasp! people cross their legs and walk backwards even though it’s not necessarily safe or tactically sound. After-action reports tell us that more than half of the time, you won’t have your gun on you when you need it and you’ll have to grab it from somewhere. They also tell us that you’re probably going to have a physical struggle before you are able to get your gun into the fight. And if you use relatively ineffective sport grappling and sport fighting techniques, you’d better be prepared to go 5 rounds with your attacker. Think a knockout punch to the chin will save you? It might, but good luck taking care of another attacker, drawing your gun, using keys, or calling 911 with a broken hand. 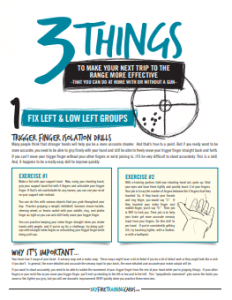 The fact is, there are real-world-proven techniques that you can practice in the comfort of your own home that will get you more prepared to deal with real world violence than doing all of your training standing flat footed and punching holes in paper. Our Fight To Your Gun training is a great example. It will give you the tools you need to get your gun into a fight in a surprise, life and death situation using whatever you may have in your hands or just your hands. It’s designed specifically to preserve the use of your hands…so you can take care of multiple attackers, manipulate keys, use your phone, or effectively use a gun after you strike an attacker. You’ll learn how to take everyday objects that 99% of the population would drop in a fight and teach you how to use those very same “innocent” objects as effective defensive tools. If you own one or more firearms and one of the reasons you own them is for self-defense, it’s critical that you have this training.